← Did Rihanna Just Reveal She’s Dropping a New Album Tomorrow?! 2015 has been a big year for little Asia Kinney . First, her Mom and Dad (a.k.a. Lady Gaga and Taylor Kinney ) decided to get hitched . And now, the pup is set to be a star in her own right. 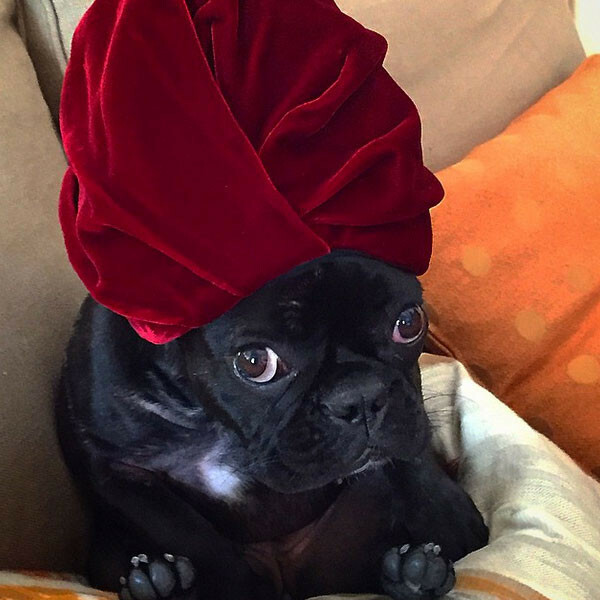 Asia, who is a French Bulldog, joined Instagram over the weekend. And true to her star status, she already has over 15,000 followers. But, it’s easy to see why social media is so smitten. For starters, Asia is freaking adorable. And she’s every bit as sassy as her Mama. Much like Lady Gaga, Asia enjoys the finer things in life. She wears turbans and gets manicures. She practices her best picture poses. She does Pilates. Clearly she’s a lady with very refined taste. This entry was posted in Hollywood Gossip and tagged Asia Kinney. Bookmark the permalink.